Tim Cox was born in 1957 and was raised in the farming and ranching community of Duncan, Arizona, near the New Mexico state line. In a 1975 high school English class essay he wrote that one of his fondest wishes was to be a member of the Cowboy Artists of America. His wish was granted in 2007 when he was invited to join the prestigious group. He showed for the first time in the October 2008 show. 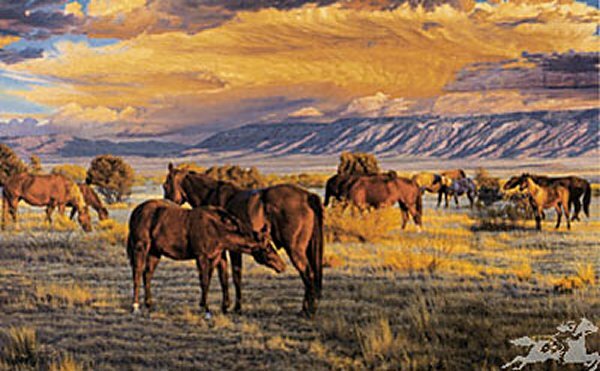 While most of his time is consumed by painting, he regularly rides and works on various ranches throughout the West. He continues to raise a few cattle and train his horses. And his desire is to portray the real working cowboy accurately and with attention to detail. He resides outside Bloomfield, New Mexico, with his wife, Suzie.